With just one week to go before Wimbledon, some of the world’s best players will look to gain momentum ahead of the grass-court Grand Slam. 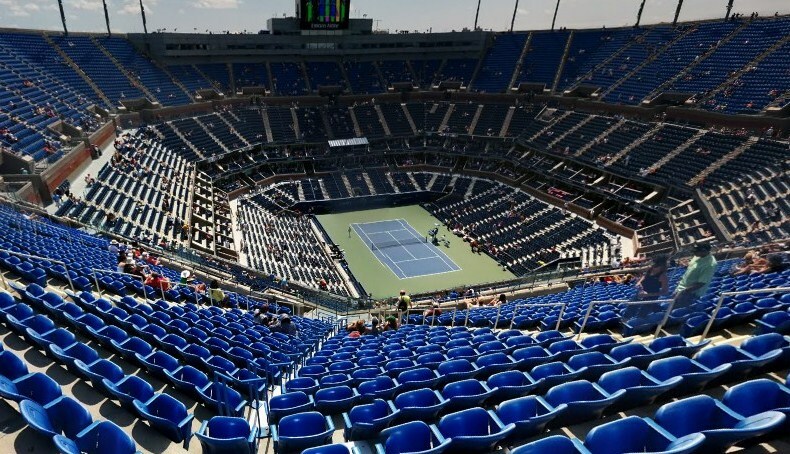 There are two ATP World Tour 250-level events this week: the Nature Valley International in Eastbourne, and the Turkish Airlines Open Antalya in Turkey. Andy Murray and Stan Wawrinka both took wild cards into Eastbourne, joining a field in which World No. 11 Diego Schwartzman is the top seed. There are plenty of talented players ready to challenge them, though, with British No. 1 Kyle Edmund, #NextGenATP Canadian Denis Shapovalov and others looking to make their mark on the grass. Adrian Mannarino tops the draw in Antalya, where he is the No. 1 seed at an ATP World Tour event for the second time. Japan’s Yuichi Sugita, the No. 7 seed, is the defending champion. 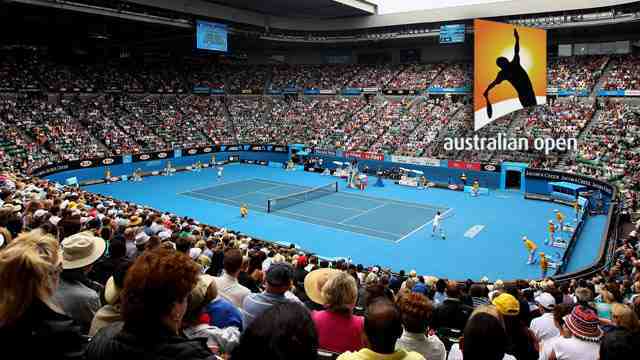 Wild cards and former Top 10 players Fernando Verdasco and Gael Monfils will also look to make a splash. 1) Round Two: Murray played his first match in more than 11 months last week at the Fever-Tree Championships. He’ll seek his first win since the Round of 16 at Wimbledon last year when he faces Wawrinka in a first-round blockbuster. Murray’s only previous appearance at the Nature Valley International came as a 19-year-old. 2) Wild Success: Murray, Wawrinka and home favourite Cameron Norrie are the wild cards in Eastbourne. That was a good thing to be last year, when wild cards Novak Djokovic and Gael Monfils met in the championship match. Djokovic defeated Monfils 6-3, 6-4. 3) Breakout Year: No. 1 Brit Edmund, the No. 2 seed, reached his first Grand Slam semi-final at the Australian Open, first ATP World Tour final at Marrakech and first ATP World Tour Masters 1000 quarter-final at Madrid. Edmund has attained a new career-high ATP Ranking seven times in 2018, peaking at No. 17 on 21 May. 4) In Sync: Edmund’s rise up the rankings has coincided with #NextGenATP Canadian Denis Shapovalov’s. The 19-year-old has hit a new career-high ATP Ranking 11 times in 2018, passing Milos Raonic as the No. 1 Canadian on 21 May. While Shapovalov is in just his second full season as a professional, he has already had five FedEx ATP Head2Head meetings against Edmund, leading their series 3-2. 5) Top-Seeded Diego: Diego Schwartzman is the top seed this week after reaching a career-high World No. 11 on 11 June. Schwartzman is the highest-ranked player to stand 5’7” or shorter since 5’6” Harold Solomon was No. 10 on 27 July 1981. The Argentine seeks his first tour-level match win on grass..
6) Suddenly Seeded: Marco Cecchinato is the No. 4 seed following his run at Roland Garros, where he upset Djokovic to become the first Italian Grand Slam semi-finalist in 40 years. He will play his second tour-level match on grass against compatriot Andreas Seppi or Denis Istomin. 7) Former Champions: Three past champions of the Nature Valley International are in the 2018 field, although only one of them won the title in Eastbourne. Steve Johnson (2016) and Denis Istomin (2015) reigned in Nottingham, while Andreas Seppi (2011) triumphed in Eastbourne. 8) David the Dad: Former World No. 3 David Ferrer became a father on 4 May. In anticipation of his son’s birth, the 36-year-old Spaniard withdrew from Monte-Carlo, Barcelona, Estoril and Madrid. Ferrer will seek his first victory as a father against a qualifier. 9) Staying Power: Since turning professional in 2010, Robert Farah has played doubles almost exclusively with Colombian countryman Juan Sebastian Cabal. Persistency has paid off in 2018, both players reaching career-high ATP Doubles Rankings and claiming their maiden Masters 1000 title in Rome. 10) Defending Bryan: Mike Bryan is back in Eastbourne to defend his title from last year, which he won with twin bother Bob Bryan. The left-handed Bryan is out with an injury, so Mike is competing with compatriot Jamie Cerretani. They are the fourth seeds. 1) Back to the Breakthrough: Sugita’s first ATP World Tour semi-final, final and title all came at the Turkish Airlines Open Antalya last year. He’s back after beating World No. 7 Dominic Thiem on 20 June in Halle for the biggest win of his career by ATP Ranking. 2) No. 1 Again: Mannarino had never been the No. 1 seed of an ATP World Tour event entering the grass-court season. In Antalya, he’s the top seed for the second time in three weeks after heading the field at ’s-Hertogenbosch. He is seeking his first title after four runner-up finishes, including last year in Antalya. 3) 500 and Counting: Verdasco will make his 61st straight Grand Slam appearance at Wimbledon. His longevity on tour was rewarded with the 500th tour-level match win of his career on 8 May in Madrid. While he has never captured a grass-court title, Verdasco led eventual champion Andy Murray by two sets in the 2013 Wimbledon quarter-finals. He fell to Mannarino in the 2017 Antalya quarter-finals. 4) Gael In Action: Monfils had a flying start to the 2018 season, capturing his seventh ATP World Tour title at Doha and defeating World No. 3 Marin Cilic at Rio de Janeiro. 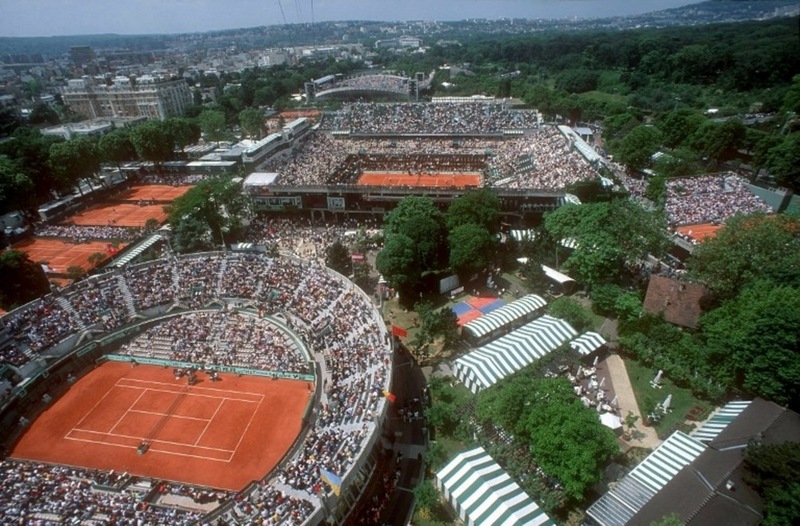 The Frenchman reached the third round at Roland Garros. The fourth seed will face Marcos Baghdatis or a qualifier in his first match. 5) Second-Seeded Damir: No. 2 seed Damir Dzumhur ended 2017 on a 24-7 run, highlighted by his first two ATP World Tour titles at St. Petersburg and Moscow. Dzumhur is making his tournament debut in Antalya, where he seeks his third trophy. 6) Portuguese Pride: Joao Sousa was 0-3 at the Millennium Estoril Open before breaking through in a big way last month. Sousa saved two match points against Pedro Sousa (no relation) and defeated #NextGenATP players Stefanos Tsitsipas and Frances Tiafoe to win the Estoril title. 7) Surprise, Surprise: Mirza Basic and Roberto Carballes Baena won the first ATP World Tour titles of their respective careers on 11 February. Both the Bosnian and Spaniard were qualifiers outside of the Top 100 in the ATP Rankings when they won championships at Sofia and Quito, respectively. 8) Turkish Hope: Cem Ilkel is a wild card for the ninth time at an ATP World Tour event. The 22-year-old Turk came closest to his first tour-level win in Antalya last year, holding five match points before falling to Egyptian Mohamed Safwat. Ilkel is coming off his fourth Futures title, in Namangan, Uzbekistan. 9) In-Form at 40: Among the teams playing doubles in Antalya are former World No. 1 Max Mirnyi and his partner, Philipp Oswald. Since joining forces last August, the 40-year-old Mirnyi and 32-year-old Oswald are 23-13 as a team with three titles (2017 Moscow, 2018 New York and 2018 Houston). 10) Grass Threat: German Florian Mayer has proven a dangerous player on grass, capturing the 2016 Gerry Weber Open title on the surface. The 34-year-old lost just four games against No. 8 seed Richard Gasquet in Halle last week, and owns a 38-24 record on grass. Former world number one Novak Djokovic reached his first final for a year by beating Jeremy Chardy at the Fever-Tree Championships at Queen’s Club. The Serb beat France’s Chardy 7-6 (7-5) 6-4 in the Wimbledon warm-up event. He will face top seed Marin Cilic in Sunday’s final after the Croat kept his cool to beat Australia’s Nick Kyrgios 7-6 (7-3) 7-6 (7-4). Britain’s Jamie Murray and Brazilian Bruno Soares beat Oliver Marach and Mate Pavic to reach the doubles final. The defending champions clinched a 6-3 6-7 10-7 win over Austrian Marach and Pavic of Croatia to set up a final with Finland’s Henri Kontinen and Australian John Peers. The final between Djokovic and Cilic is scheduled for 14:30 BST, which is a later start time than normal because of England’s football World Cup group match against Panama. Djokovic’s last appearance in a Tour final was at Eastbourne a year ago, when the 12-time Grand Slam champion won the title. He accepted a wildcard to this year’s Queen’s in an attempt to regain his best form before Wimbledon, which starts on 2 July, having returned from an elbow injury last year. The 31-year-old is playing in the west London grass-court tournament for the first time in 10 years, having lost to Rafael Nadal in the 2008 final. Djokovic will fancy his chances of going one better against Cilic, with an impressive career record of 14 victories and just a solitary defeat against his fellow finalist. “It was very pleasing to go through to the final,” Djokovic said. “It’s been a while since I’ve played for a title so it’s a special moment considering what I have been through. Djokovic showed flashes of his best tennis in his straight-set win against French journeyman Chardy. However, facing an opponent ranked 61st in the world, to whom he had never lost in 10 previous meetings, there were also occasional signs of frustration. Despite closing out the first set in a tie-break, the 12-time Grand Slam winner vented his annoyance towards his support staff watching from the box. There was also some tetchiness with the umpire when he lost a point after colliding with the net, having incorrectly believed the ball bounced twice before he made contact. Djokovic lifted his game to claim a decisive break in the second set against the spirited Chardy, who played some eye-catching winners at the net but lacked the killer instinct to seriously trouble the Serb. A match against the big-serving Cilic will provide a better barometer of Djokovic’s credentials to make an impression on the grass courts of the All England Club. Cilic, who won the title here in 2012 and was runner-up to Feliciano Lopez last year, will compete in his fourth Queen’s final. While Australian Kyrgios entertained the crowd with his usual display of showman shots and colourful language, world number six Cilic kept his cool in a match featuring few long rallies between the two big servers. After somewhat predictably going to two tie-breaks, the match was settled when Kyrgios sent a backhand return wide. Cilic told BBC Sport: “It’s so special to play here. I played great tennis throughout the week and have another shot at the title. “Nick is serving so good, so it was tough from both ends,” added Cilic, who served 11 aces to Kyrgios’ 16. Cilic is through to his second final of 2018 after losing to world number one Roger Federer at the Australian Open in January. Britain’s Gordon Reid and Alfie Hewett both lost their singles semi-final matches in the Fever-Tree Championships at Queen’s Club. France’s Stephane Houdet triumphed 4-6 6-4 6-2 against 26-year-old Scot Reid. 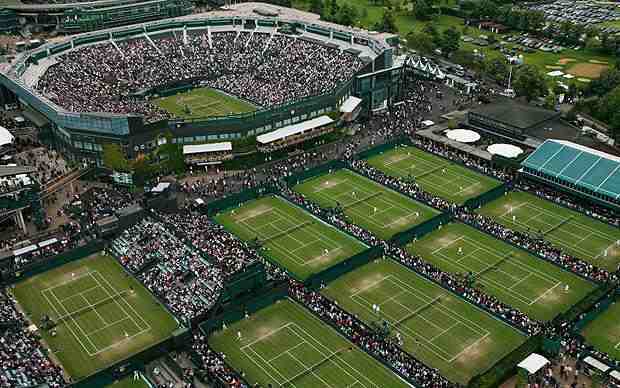 Top seed Hewett, 20, of England was beaten 6-3 6-3 by Sweden’s Stefan Olsson – the Wimbledon champion. However, Reid and Hewett subsequently combined to beat Daniel Caverzaschi and Olsson 6-1 6-1 in the second of their round-robin doubles matches. World number two Hewett and Reid are now 1-1 after their two doubles matches, with the last match on Sunday. Twelve months ago, Alexander Zverev and Mischa Zverev fell to top seeds Lukasz Kubot and Marcelo Melo in front of their home crowd in the Gerry Weber Open final. On Saturday, they guaranteed themselves a second shot at the Polish-Brazilian duo in the championship match. The German brothers prevailed 6-3, 3-6, 10-5 against second seeded duo Nikola Mektic and Alexander Peya after 67 minutes to return to the Halle final. Zverev/Zverev won 56 per cent of second-serve return points and saved four of six break points en route to the final. Kubot and Melo, bidding to win their tenth team title, advanced to their 14th final as a pairing on Friday, prevailing 12-10 in a Match Tie-break against fourth seeds Ivan Dodig and Rajeev Ram. Jamie Murray and Bruno Soares reached their 14th team tour-level final, beating ATP Doubles Race to London leaders Oliver Marach and Mate Pavic 6-3, 6-7(6), 10-7 at the Fever-Tree Championships. Murray and Soares, who defeated Julien Benneteau and Edouard Roger-Vasselin to lift the trophy in 2017, failed to convert match point at 6/5 in the second-set tie-break before eventually sealing the win after 90 minutes. 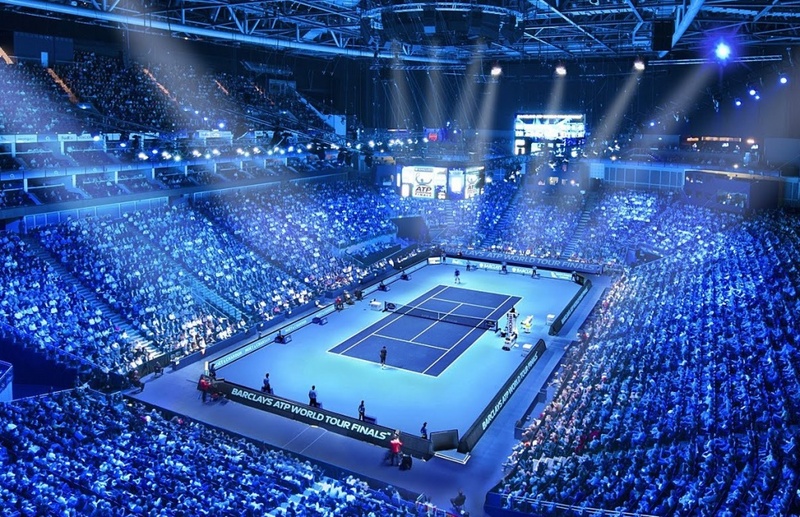 The British-Brazilian tandem won 70 per cent of service points and broke serve on two of their four break-point opportunities to set a final meeting with reigning Nitto ATP Finals champions Henri Kontinen and John Peers. Kontinen and Peers, on a seven-match winning streak in the English capital, defeated British pairing Kyle Edmund and John Peers 7-6(5), 5-7, 10-6 on Friday. Roger Federer extended his grass-court winning streak to 20 matches as he beat Denis Kudla in straight sets to reach the final of the Halle Open. The Swiss, who needs to win a 10th title at the German event to retain his world number one ranking, won 7-6 (7-1) 7-5 against the American qualifier. Federer saved five break points in the second set before breaking in the 11th game. He will face Croatia’s Borna Coric in Sunday’s final. Coric’s semi-final opponent, Roberto Bautista Agut of Spain, retired injured when leading 3-2 in the first set of their semi-final on Saturday after he slipped on the grass. The 20-time Grand Slam champion’s form going into Wimbledon is ominous for any player thinking they can stop him from claiming a ninth title at the All England Club. “I’m very happy, I’ve never played back-to-back finals on grass in the Wimbledon run-up,” Federer said. Defending champion Petra Kvitova eased into the final of the Nature Valley Classic in Birmingham by beating Mihaela Buzarnescu. The Czech, a two-time Wimbledon champion, showed her strength on grass with a 6-3 6-2 win over the Romanian. The fourth seed faces Magdalena Rybarikova in Sunday’s final after the Slovak beat Barbora Strycova of the Czech Republic 7-6 (7-1) 6-4. World number 19 Rybarikova was a Wimbledon semi-finalist last year.